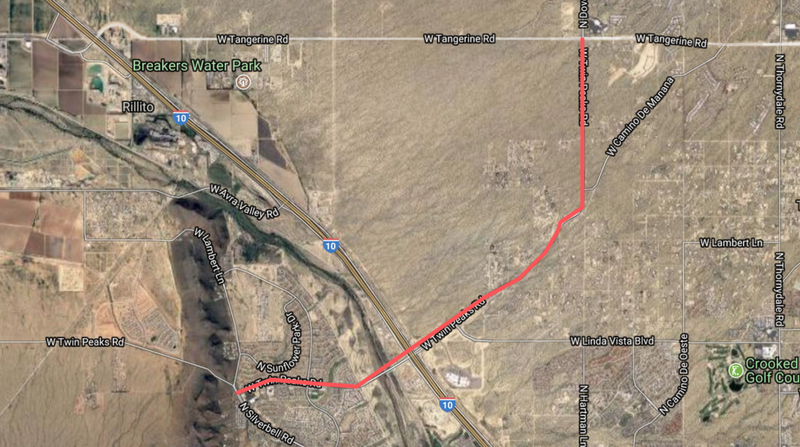 As part of the Town of Marana’s Pavement Preservation Program, crack seal work will begin on Twin Peaks Road starting on Monday, April 2 and continue through the week of April 23, 2018. The project will begin on Twin Peaks Road at Silverbell Road and continue all the way through Twin Peaks Road and Tangerine Road. The work will be conducted during normal business hours beginning at 7:00 a.m. Lane closures and light delays should be expected.